It’s a question most of us have asked ourselves at one point. 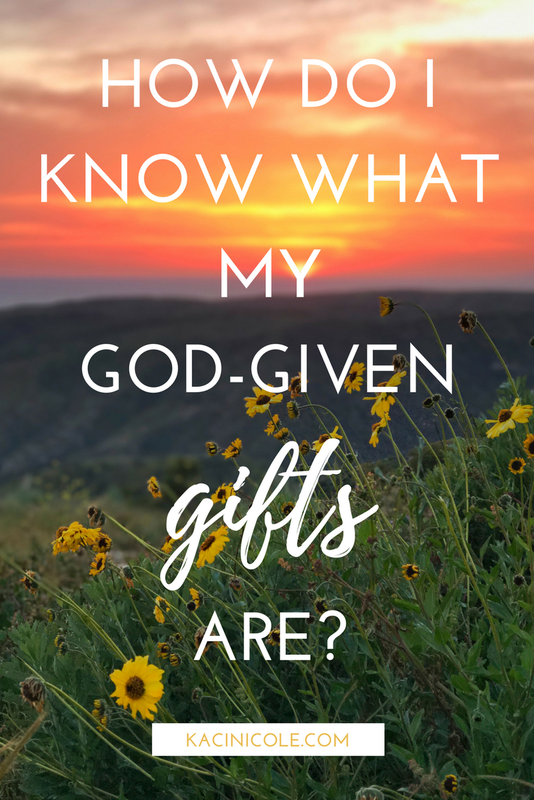 How do I know what my God-given gift(s) are? Not too long ago a friend came to me excited, because she made a discovery. For so long, she felt like maybe she didn’t have any spiritual gifts because the “flashier” ones, she observed in others, but never in herself. She didn’t have the gift of preaching, evangelism, or any other of what she considered to be the prominent gifts, so she wasn’t sure where that left her—except, discouraged. But then, through a Bible study, she took an online spiritual gift assessment and learned her top five strengths. Capping off the list? Help and service. The next day, her Bible study group had a scheduled service day, and all day long she couldn’t help but notice how much joy she had simply helping others. It’s as if naming the gift that had always been inside of allowed her to finally recognize it—and in turn, fully embrace it. This simple conversation with my friend provoked in me a thought: What if the reason we often don’t recognize our own spiritual gifts is because they’re so innately part of who we are, it doesn’t even occur to us other people might not be the same way? I’ve always loved words, but growing up I didn’t realize that was a thing. I remember the first time a teacher told me I had good diction (which, I then had to go look up—ha), and it wasn’t until I began hearing that type of feedback that I realized it was a distinct feature of how God made me. 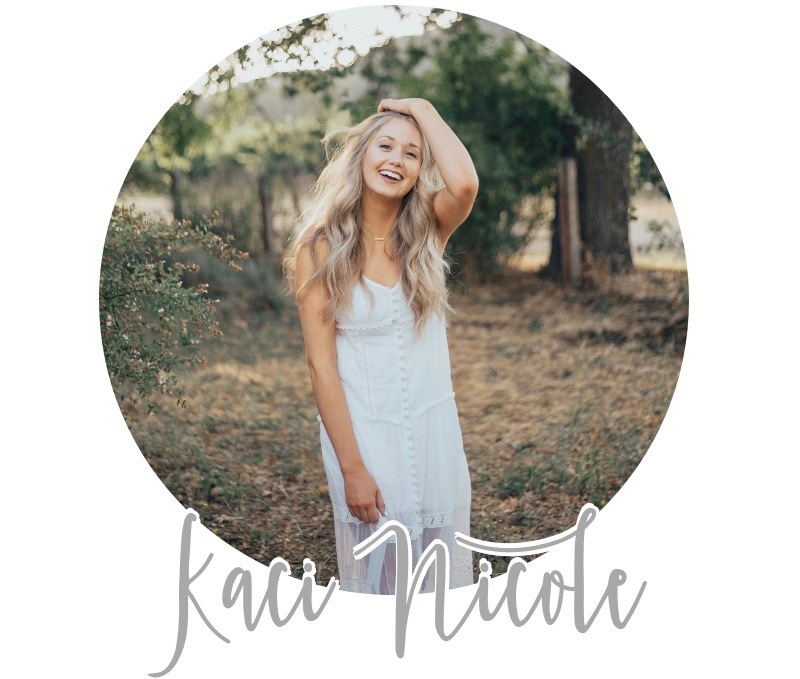 Over the past few years, I’ve come to recognize communication as one of my God-given gifts—I love sharing what God is teaching me in hopes that it might touch or encourage another (if you’ve been around this blog for a while, you’re already well aware of my affinity for words 😉). Others pointing it out played a pivotal role in me coming to understand that. Psychologically speaking, we start to develop a sense of self in the context of relationship with others. That’s why it’s so important for us to call out the gifts and gold in those around us—doing so is what allows them to shine. Gifts are a reflection of God’s nature you carry within you—they were woven there by the One who wants to use them for His glory and your good. The more you discover the fullness of who God created you to be, the more you discover His design and direction for your life. The Bible says that spiritual gifts are abilities God bestows on EVERY believer for the good of the body (1 Corinthians 12:7). That means, even if you feel like you don’t, if you believe in Jesus, YOU have God-given gifts. Maybe you know exactly what they are or maybe like my friend, you’re not so sure. Maybe you’re like me—you know what some of them are, but you also know that all of life is a continual journey of uncovering them. Wherever you fall on the spectrum, I’ve found there are two key ways we can grow in knowing what our God-given gifts are. Simply put, we come to know our purpose by pressing into the One who gave it to us. Ask God to show you. The answer may not come right away, and it may not come how you think. But God is glorified in the use of our gifts, so if we ask, He will reveal. Invite those who know you well to speak into this area as well. It’s likely they see things in you that you may not. Notice the things that come naturally to you, the things you enjoy. While talking to another friend about this same issue, the idea of keeping a “joy journal” came to me—whenever you experience that one of those “Yes, I love this!” moments, write it down. After some time, observe what you’ve written to see if there are any themes. Don’t be afraid to try things out, even if you’re not 100% sure it’s your God-given gift. We tend to learn through practice, not theory—so the best way to know is to give it a shot. To get you started, here is the Spiritual Gifts Assessment my friend took (I did too, and found it totally helpful). All of our gifts look different, and all of our gifts are needed—we don’t get the full picture of what God intended without everyone living out who they were created to be. Succulents and sunflowers are two very different plant species with different looks and functions. But as you'll see below, they have something in common—both are at their most beautiful when they’re reflecting the Light.